At Child HELP Partnership, we are focused above all else on how we impact the children and families who need specialized trauma services. Our PARTNERS Clinic is an outpatient setting where we provide free, evidence-based, trauma-specific therapies. 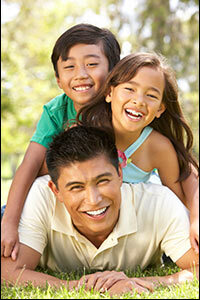 We evaluate the impact of these therapies on our families. Children and their parents complete standardized assessments before they start therapy, in between phases of therapy, and at the end of therapy. We measure post-traumaticstress disorder (PTSD), depression, and acting out/delinquent behaviors (e.g., being aggressive, oppositional). The chart below visualizes outcomes at each stage of our therapy sequence. Children show a progressive improvement in all symptom areas over the time that they are in therapy. As the chart shows, the percentages of children with PTSD, depression, and conduct problems decrease significantly over the course of therapy. Additionally, each phase of trauma-specific cognitive behavioral therapy is important for recovery. By reducing rates of PTSD, depression, and conduct problems, we are not only easing the current pain of the children served, but preventing the need for long-term, expensive mental health care.